What is crypto? Crypto means ‘hidden’, and it’s meant ‘hidden’ since before the Greek alphabet was written, but don’t let that stop you from arguing. For this week’s Hack Chat, we’re going to be talking all about cryptography, a medium of exchange for secrets. If you need confidentiality, integrity, or authenticity, you need cryptography. 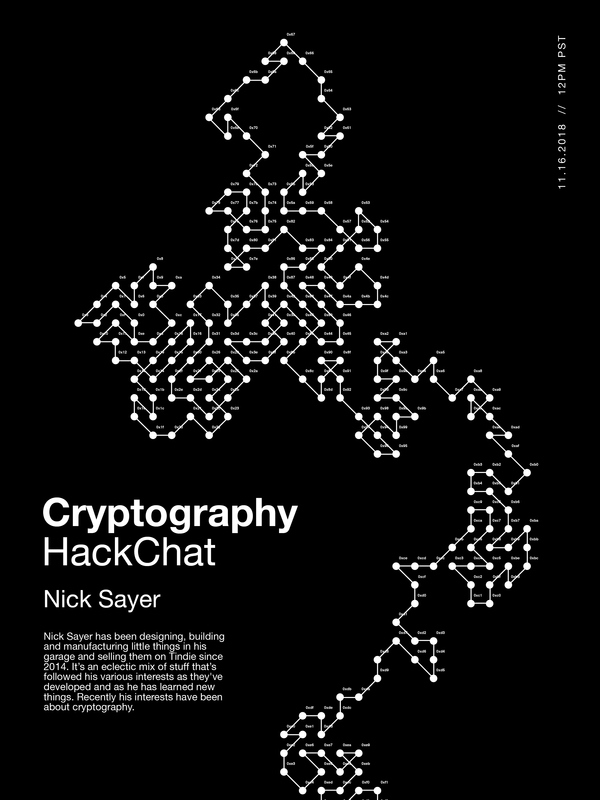 Our guest for this week’s Hack Chat will be none other than Nick Sayer. Nick is a frequent attendee of the Hackaday meetups and he’s been building gadgets and gizmos and selling them on Tindie for years now. He’s given talks on design for manufacturing. This year, he designed and developed the Orthrus, an appliance that creates a cryptographically secured USB volume from two microSD cards. Basically, it’s like the Captain Planet team, only instead of rings, you need all the SD cards, and instead of Captain Planet, you summon your data. You are, of course, encouraged to add your own questions to the discussion. You can do that by leaving a comment on the Cryptography Hack Chat and we’ll put that in the queue for the Hack Chat discussion. Our Hack Chats are live community events on the Hackaday.io Hack Chat group messaging. This week we’ll be sitting down on Friday, November 16th, at noon, Pacific time. If time zones got you down, we have a handy time zone converter. “A TURNIP CURES ELVIS” begins the opening credits, an intriguing beginning to a smart and still timely film that was released around 25 years ago. If you’ve never seen the movie, I’m about to spoil the hell out of it. Sneakers features the title characters, hackers who work the 1992 gig economy as freelance penetration testers. They work for Martin Bishop, a hippie hacker Obi Wan who works San Francisco’s gray market, doing good deeds and helping banks improve their security. While there is a fair amount of cheese in Sneakers, a lot of the problems the characters face — physical security and cryptography come to mind — remain the problems of today. Securing our digital business? Check. Surveillance? Check? Gray operators? Absolutely. At the same time, the movie does a good job of exploring different categories of hacker. The various characters seem to offer glimpses of people I see all the time at the hackerspace. Bigger than life, certainly, but they are in a Hollywood movie, after all. Finally, the movie is just smart. Those opening credits offer a preview: the anagrams that begin the movie (“A TURNIP KILLS ELVIS” translates to Universal Pictures) are not just some art director’s conceit for the opening credits. The anagrams end up being important later on in the film, where there is a key clue hidden but if you think about it, shuffling letters on your Scrabble tray could be taken as a metaphor for hacker thinking — taking the same information as everyone else but looking at it in a different way.